SOLD OUT seasonal IsaLean Shake Mocha up for grabs! Is your stash of Mocha quickly disappearing? You’re in luck! We’ll have a limited supply of IsaLean™ Shake Mocha available specially for IsaU Auckland attendees, so be sure to get in quick to get your hands on a canister or two. If that’s not enough, attendees can also grab single serves of the newest additions to the Isagenix® product range at the Singles Bar* – e+ Lemon Lime and Harvest Thins™. If you haven’t yet tried them, IsaU Auckland is the perfect opportunity! After you’ve grabbed a quick snack at the Singles Bar and secured your Mocha Shake, head over to the IsaSalesTools stand* to grab some exclusive IsaGear and popular business tools to take home. All IsaU Auckland attendees enjoy Celebration 2019 tickets at the special discounted price of $149! This price is ONLY available onsite at the event, so if you’re attending and haven’t yet secured your Celebration 2019 tickets, IsaU is the perfect opportunity to grab yours. Kicking off Sunday with a revitalising yoga session is the perfect way to get your mind and body prepped for the final day of powerful training and development. To participate, all you need to do is contribute to Make-A-Wish® with a $5 donation. Don’t forget to bring your own mat and towel along. Be at IsaU Auckland to witness the announcement of our Round 1 2018 IsaBody Challenge® Finalists live on stage! This year, each round will have five winners, allowing IsaBody Challenge participants even more opportunity to become a Finalist. Does it get much better than that?! 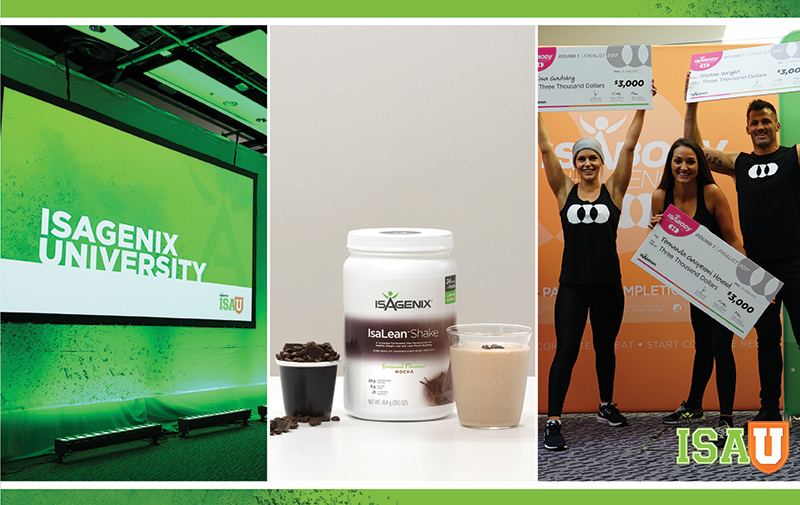 There are so many reasons to get yourself and your team to IsaU Auckland – immerse yourself in the Isagenix culture, learn something new, grab some awesome products and have the time of your life! Head to ANZ.IsagenixEvents.com to secure your spot. *Please note, IsaGear and Tools purchases are cash only. *Please note, Singles Bar purchases are card only.